Opened in early 2017, our state-of-the-art dealership is the largest purpose-built motorcycle dealership in the country and one of the biggest in Europe. A product of a £3.5 million investment which includes a no expense spared, industry leading £150,000 workshop installation. We have 10-technical work-bays with electro hydraulic lifts and our bespoke custom-built work benches and wall units are fully integrated with the latest diagnostic equipment, compressed air / oil / water dispensing system, power and data, as well as fully equipped with essential manufacturer specialist tooling. A newly commissioned MOT bay and tyre fitment bay complete this full service and maintenance area in the heart of the dealership resulting in a full future capability of 11 full time technicians. The centrally heated workshop is complete with full under floor exhaust extraction plus auxiliary ambient air cleaning as an additional feature. There is easy access to part and accessory departments, parts storage and adjacent to the workshop we have our own fully fitted kitchen with seating area, wash area and bathroom. 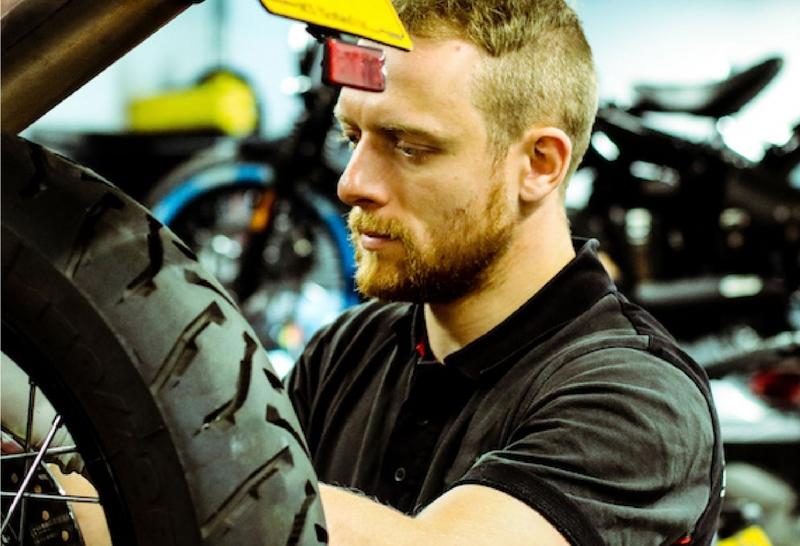 As we work on every make and model of motorcycle, and there are a number of different repairs, requests and maintenance operations that we can perform, therefore you must call us on 0141 333 4998 to discuss the work you require prior to any booking. 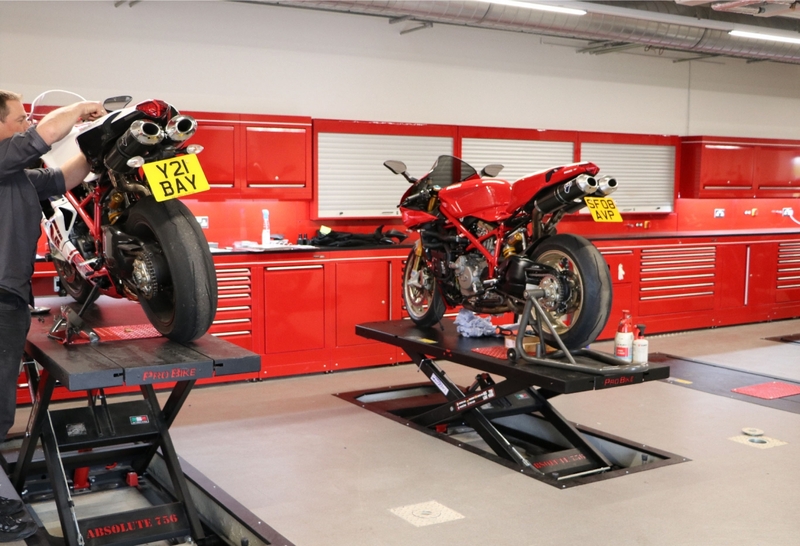 There is no better place than to have your motorcycle serviced, than at Ducati Glasgow. 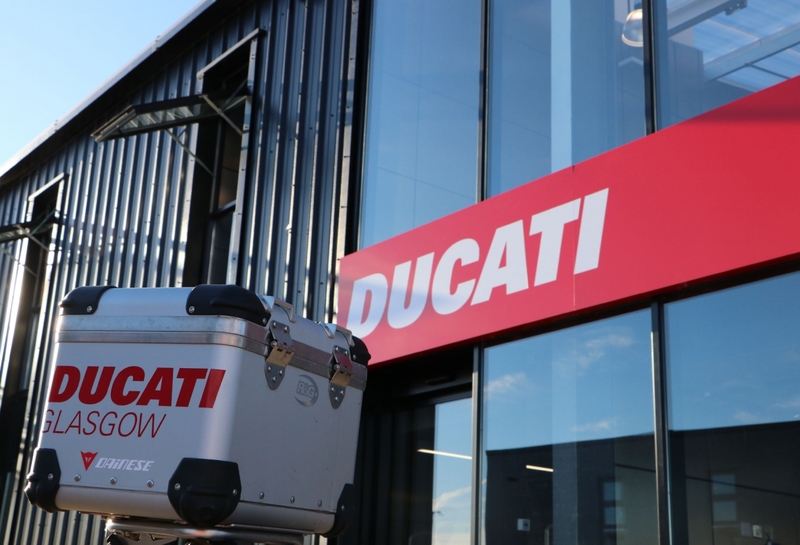 The most professional, manufacturer trained staff, fitting genuine factory parts in an award winning fully authorised Ducati Dealership, it's what you and your bike deserve. We have always been known as a dealership that focuses on an extra special and personal service. Of course this quality extends to our Service Department and workshop staff. Our ongoing commitment to quality has resulted in a solid and trusted reputation throughout our client base and the UK. We take the responsibility of looking after your motorcycle very seriously. We are constantly refining our processes to ensure we fulfil that responsibility to its full potential. To book click here or call us on 0141 333 0996. Factory trained technicians means swift, reliable, competent service and jobs completed on time. Our Technicians have an extensive combined experience working on a vast and wide array of motorcycles and the internal combustion engine. In the past they have been trained by numerous manufacturers encompassing many different types of motorcycles from the very well known to the more obscure. We ensure our Technicians are fully factory trained to the same level as those in the Ducati factory in Bologna. On an annual basis they are sent to Italy to keep up to date with every one of the latest innovations and techniques offered by the Italian engineers. We fit only recommended genuine factory parts to the manufacturer guidelines and are a fully recognised and authorised dealer. All of our factory trained Technicians have successfully completed VOSA and DVLA recognised and certified MOT Testing Training. Within our brand new workshop we have a dedicated 7 metre squared MOT testing bay with the latest brake testing equipment. 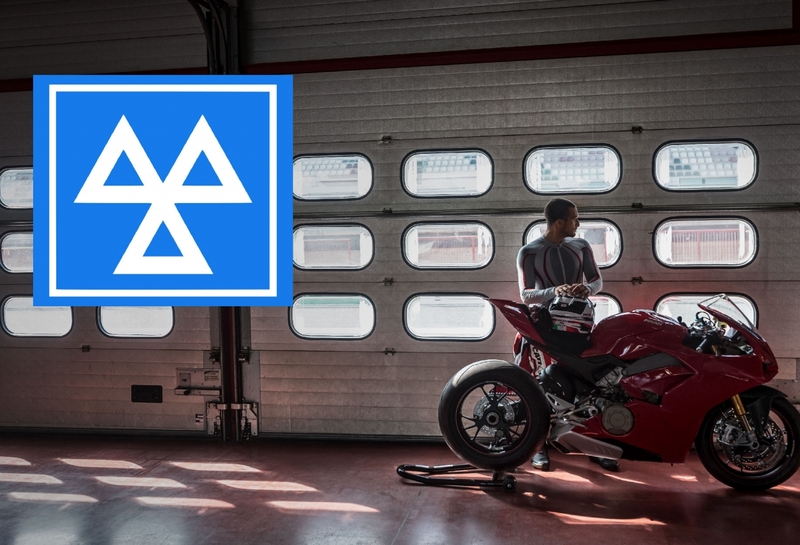 We can MOT any motorcycle, not just Ducati bikes. Call to book on 0141 333 0996 or email us here. 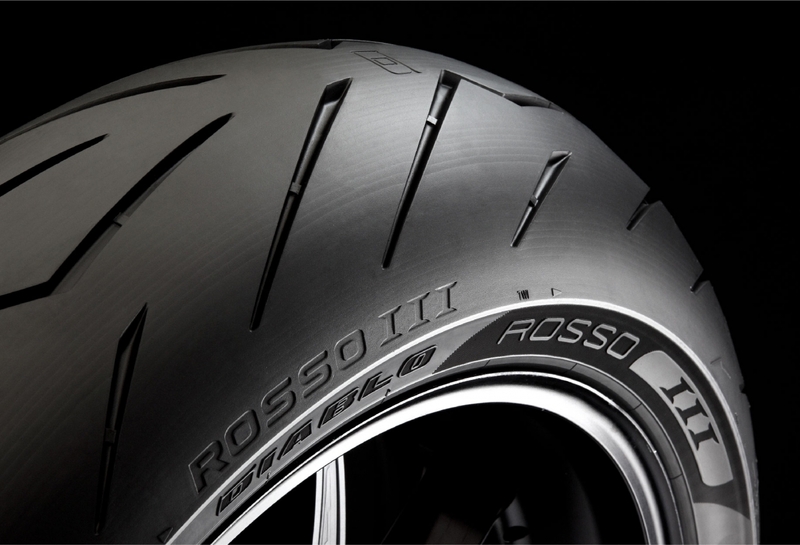 Whether it's for a Ducati or not, we carry a wide selection of tyres in stock at any one time. We have the most popular sizes in stock and will have someone on hand to give you advice if you are not sure which make or type you are using or the best for your type of riding. Even if you are needing slick tyres for track use - we can supply them too. To find out more call 0141 333 0996 or email here. We know that there's no better way to enjoy your service experience than by staying on the road with one of our brand new models. There is a small selection of courtesy bikes available and the models change frequently, so take advantage of your service time by booking your courtesy bike in advance. Please note there is a £25 per day insurance fee, although you can also contact your own insurance to add on one of our courtesy bikes, with no extra charge from us. Call for more on 0141 333 4998 or email here. You can have your motorcycle collected from your home or office within Scotland and returned to you for just £1 per mile each way. Our Dealer Support Vehicle can collect and deliver up to three bikes at a time, and our Drivers are fully trained in manual handling, loading, unloading and securing any make and model of motorcycle. Your pride and joy is in safe hands with our pick-up and delivery service. To enquire about our pick up and delivery service or recieve a quote call us on 0141 333 4998 or email us here. 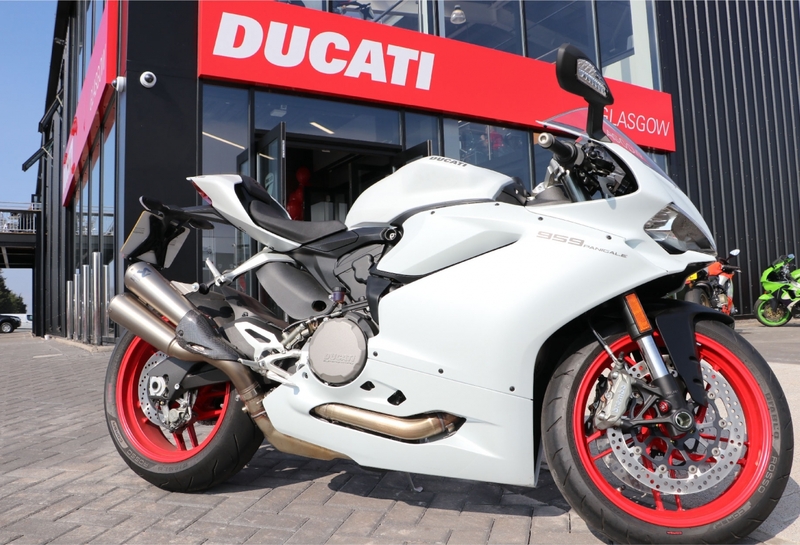 We like to make sure you always get the best deal with Ducati Glasgow, so every year we run an Off-Peak Servicing Offer which could save you time and money. 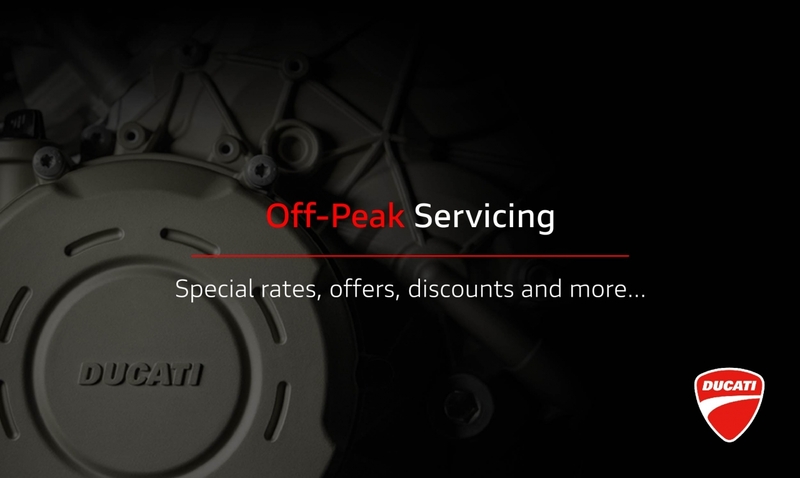 Between November and January, considered the off-peak season, there will be discounted rates on servicing and you will still receive the same great quality and care. This is the perfect time to get your bike serviced, and just to ensure it's in peak condition for you again in the spring, we can also perform a ‘pre season check' which lets us test all the essential components before you head out on the road again. To find out more click here. 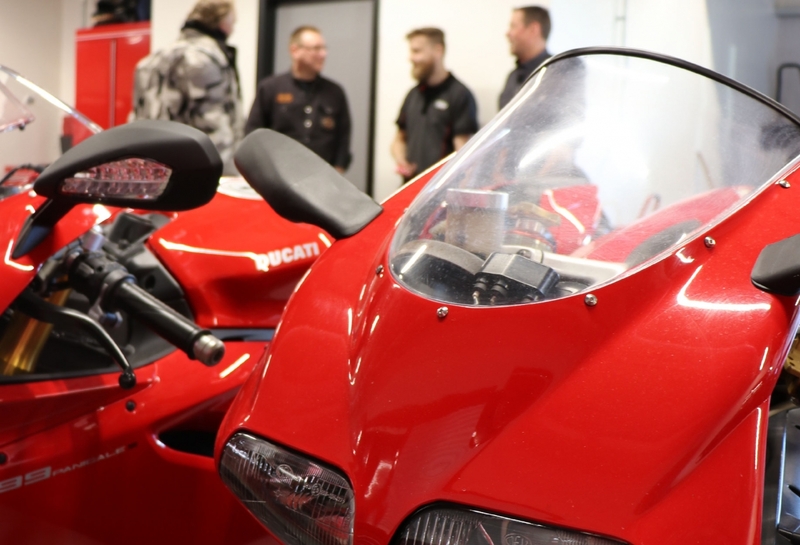 Our brand new workshop is extremely busy and it's imperative that we allocate the required time for our factory trained Technicians to completely focus on your motorcycle and it's service, therefore don't delay in booking - call us now on 0141 333 0996 or email us here. You can also use the tabs below to complete an MOT, Service or Parts Enquiry form. We will be sure to respond within 48 hours.